The United Nations’ (UN’s) post-2015 Sustainable Development Goals (SDGs) Framework has elucidated the full complexity of the range, breadth, and depth of the global development challenges of the 21st century, much more so than the preceding Millennium Development Goals (MDGs), which were limited and narrow in their scope and application. This comprehensive SDGs framework thus illustrates that the overwhelming framing of science communication and science and society discourses, practices, and mechanisms has not served societies and communities well. Furthermore, if science communication is to be both salient and credible for a wide range of audiences and meet the needs of the diverse publics, there is a need for new ways of approaching the craft and delivery mechanisms, in order to maximize impact and enhance development gains. 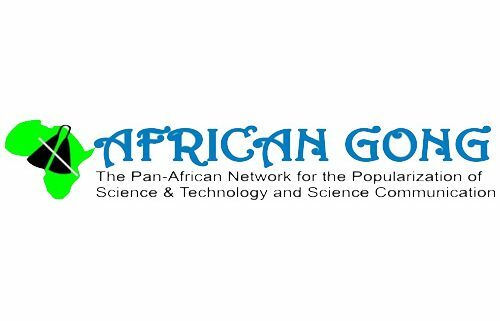 The myriad and intractable development challenges to which science communication should contribute to highlighting and promoting the pivotal role of science, through developing innovations and solutions for solving challenges in society, are profound, and nowhere more so than on the African continent. However, the ubiquitous look, design, content, layouts, exhibits, materials, activities, narratives, etc. of science centres and science museums across the globe is a cause for concern and raises profound questions about the lack of creativity and innovation in the field itself. When science centres and museums in Africa, Asia, Latin America, and across the global south, look and feel exactly the same as those in the global north, then we have a real problem of the lack of diversity, socio-cultural inclusion, language diversity, localized contexts, and indigenous knowledge. Without these attributes, it is not possible to truly engage the interests, participation, and sense of ownership of communities and societies in the global south, in science centres and science museums. Practice and Program Development: How do we develop innovative, empowering, and transformative African-centric science centres and science museums, in place of the Euro-centric ones which currently dominate and which simply further alienate African citizens, who largely see it as foreign, elitist, and intimidating from science? Capacity Development: How do we grow the human capital needed for the delivery of engaging, stimulating, and sustainable science centres and science museums on the African continent? Above all else, we wish to realize science centres and science museums which facilitate and enable the strategic positioning of science and its applications at the heart of the African sustainable development framework, hence the pivotal focus on the SDGs in this regard. The SDG Goal 2, which aims to end hunger, is at least as concerned with politics and economics as it is with climate change and farm yields. I would like to suggest that instead of the usual narrow focus on the science of genetically-modified foods and the polarized debates which it generates, that on November 10, some science centers could actually engage in a multidisciplinary and co-generated activity involving natural and social scientists, economists, and philosophers to explore the complex nature of the inter-linkages between topics like agricultural subsidies, trade tariffs, climate change impacts, small-holder farmers versus large commercial farms, land tenure/ownership, farm yields and soil quality, post-harvest loss, food prices, food waste, agro-processing and the agricultural value chain, and how all these interlinked issues critically impact on the delivery of Goal 2. This would make for a very multi-stakeholder, multi-level, inclusive, and engaging activity! Another suggestion would be to take on Goal 5, which is focused on gender equality. The suggestion here is that you plan over a two-week period prior to November 10, to involve visitors to your science centre/museum in an interactive exercise of gender-auditing your centre/museum: its exhibits, activities, layout, facilities, programs, narratives, etc. with fun tools such as ‘sticky dots’ (red or pink for female bias; blue or purple for male bias; and green for gender-balance). Give equal amounts of the three different color sticker dots to all the visitors coming to your centre for a period of two weeks (and also undertake daily gender monitoring of these visitors). Then, have them place these dots based on their assessments as to gender bias or otherwise, on wall mounted boards across the centre (different boards for different exhibits, activities, etc.). On November 10, share these findings with your visitors and invited gender experts and involve them in discussions, debates, and interactive activities which will enable your centre to address these issues more effectively, sustainably, and inclusively. You will be surprised at the findings and also at the excellent and creative ideas that you will get from your visitors! I wish us all an uplifting, dynamic, and insightful ISCSMD 2016 on November 10, and hope that it will engender the sustainable transformation of the sector and field.